Designer ♥ Maker ♥ Finder: Apple's get cold too you know. Apple's get cold too you know. 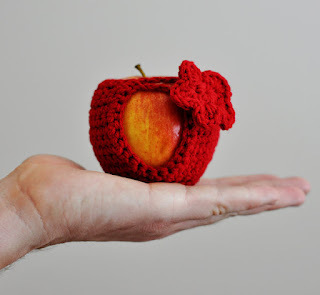 How yummy are these, such cute little cozy's to keep your apples warm! Made by Etsy shop owner Loops and Swoops. They will provide shelter from the nasty things in your bag that might scratch, bruise and dent your apple [ this may only apply to me because I carry so much crap!] 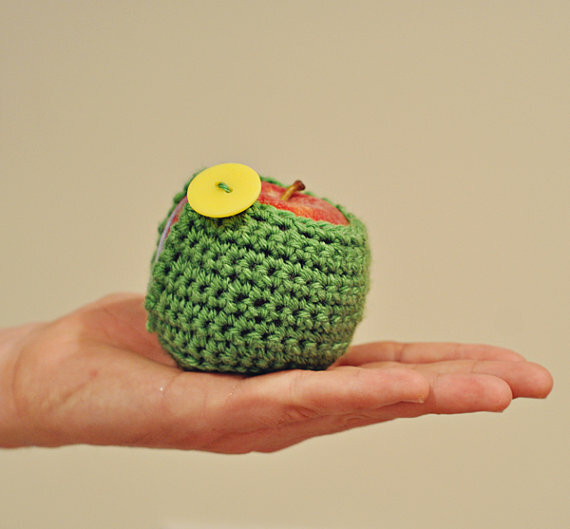 She says they can be for students, teachers or apple enthusiasts! I thought that was adorable. 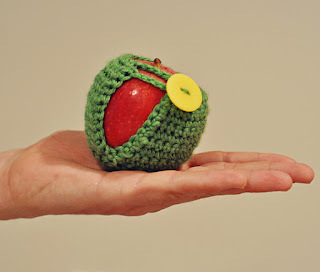 I do consider myself an apple enthusiast! 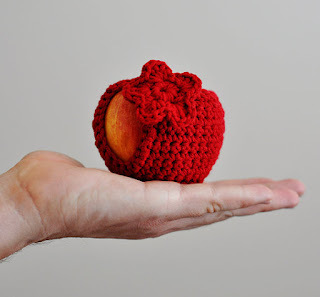 She has even shared the pattern so that you can make your own which is pretty nice of her, thank you! Vintage Tin! Oh Yes Please - Sushipotparts. Mini Eco - Brighten Your Day. 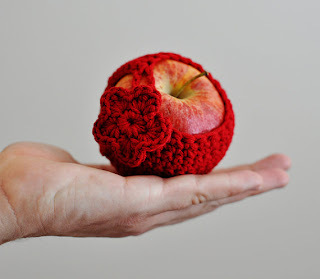 DIY Fun shaped fruit bouquets. Hello I like you, Charley Harper.